Raising a child is expensive. According to one study by the Department of Agriculture, it can cost approximately $14,000 a year to raise a child. When parents are divorced, child support can go a long way to helping the parent who has primary custody of the child cover the costs of raising the child. In Pennsylvania, child support is generally determined by using the statutory child support guidelines. The child support guidelines are supposed to provide a fair way for the cost of raising a child to be shared between the parents. This is why the guidelines are updated periodically to account for the increases in the cost of living. There was an adjustment to the guidelines in 2017. The cost of living adjustments do not always increase the child support amount ordered by a great amount, however, depending on the ordered amount, it can make a difference. When the child support guidelines are adjusted for cost of living increases, parents who receive child support can petition the court for modification of child support in order to get the increased amount. However, chances are that if the adjustment does not result in a significant change in child support, the petition for modification will be denied. Parents should make the decision on whether to seek the modification after consulting with an experienced attorney. There may be other changes in the parents’ lives that may have happened since the last time child support was ordered. These changes may affect how the court orders child support, and may also cause the court to revisit the issue of custody. For example, if a non-custodial parent has spent more time with the child than was originally outlined in the court order, that parent may be entitled to a reduction in child support and increased custody. Pennsylvania also uses an income share model when it comes to child support, therefore, a parent who learns that the other parent is seeking a modification in child support may counter that his income has decreased and he is entitled to a decrease in child support. The child support guidelines are often used as a base to negotiate higher amounts of child support in divorce proceedings. 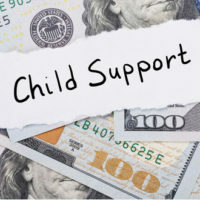 The child support guidelines do not account for all the expenses that may be incurred by a custodial parent, and that parent may be in a position to negotiate a higher amount while the divorce is ongoing. It is better for parents to negotiate this higher amount with the assistance of an attorney who can give the parent an idea of what a fair child support amount would be taking into consideration the financial assets and income of both parents. If you want to find out more about how you can petition a court for modification of child support, or learn more about which changed circumstances can be the basis for a change in child support, contact our experienced child support lawyers in Media, Pennsylvania at Barbara Flum Stein & Associates serving Delaware County in all family law matters to schedule a consultation.